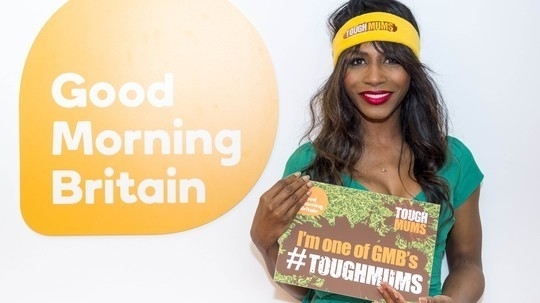 Today Sinitta became our latest Tough Mums recruit, meaning she’s going to take on our obstacle course in May alongside Julia Bradbury, our presenters… and hopefully you! Meanwhile, we’d like to say a big ‘get well soon’ to Tough Mum Jessica Taylor, who was also set to join the course but has had to pull out under doctor’s orders after a mishap with a hoverboard. Maybe next time, Jessica!